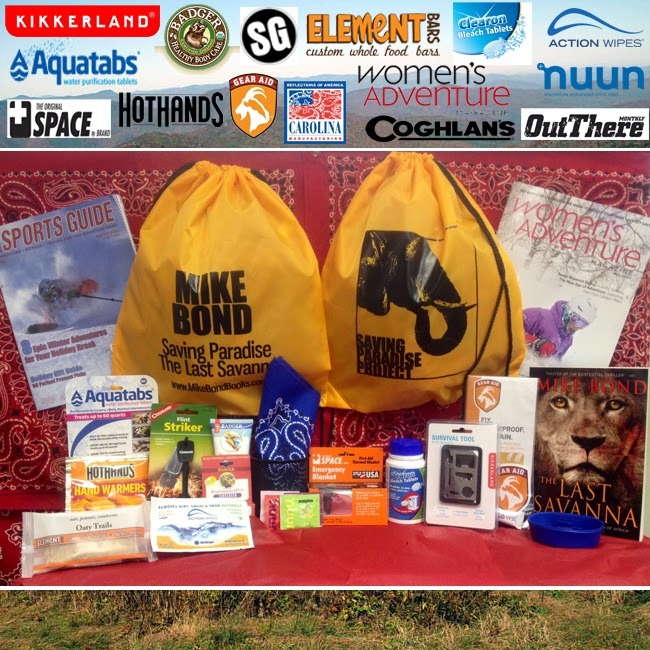 A RUP LIFE: Last Savanna Adventurer’s Kit from The Last Savanna by Mike Bond Giveaway! Last Savanna Adventurer’s Kit from The Last Savanna by Mike Bond Giveaway! ARupLife.com was provided press and giveaway for this post. This post contains affiliate links. I'm pleased to be hosting an awesome giveaway from The Last Savanna, Mike Bond's newest book! Bond is no stranger to adventure. His upcoming thriller, THE LAST SAVANNA , is based on his real-life experiences traveling through miles of Africa’s jungles, deserts and savannas, helping Kenyan rangers take on elephant poachers. Named the “master of the existential thriller” by the BBC and “one of the 21st century’s most exciting authors” by the Washington Times, Bond is a bestselling novelist, international energy expert, war and human rights correspondent and award-winning poet who has lived and worked in many remote, dangerous parts of the world. His critically acclaimed novels depict the innate hunger of the human heart for what is good, the intense joys of love, the terror and fury of battle, the sinister vagaries of international politics and multinational corporations and the vanishing beauty of the natural world.